“Colton, what do you want people to know from your story?” asked the lady editor sitting with his father whilst discussing a book they were writing about what had happened six years ago. “I want them to know heaven is for real”, he answered without hesitation and looking Lynn straight in the eye. Colton’s father and mother recount their desperate attempts whilst on ‘holiday’ with their son’s rapidly deteriorating bad state of health. It was a matter of life or death and their not-yet four years old nearly didn’t survive. A few months later, after his fourth birthday, Colton makes a remark about his time in hospital that completely floors his parents – he tells them what they were doing whilst he was on his ‘death-bed’ in surgery! From thereon the story takes an interesting turn of diplomatic delicacy to discover what actually happened to their very young boy. Being a Weslyan pastor, his father Todd was thirsty for more, yet being familiar with Colton’s level of basic belief he realised what his son may say may not match his own ideas. But he was extremely surprised to learn that what Colton now knew could NOT have come from Sunday school or family chat. Todd Burpo and his teacher wife Sonja were wise not to overwrite Colton’s child-like descriptive terms by dressing them up into grown-up language for adult consumption. So they restricted themselves to open questions only. 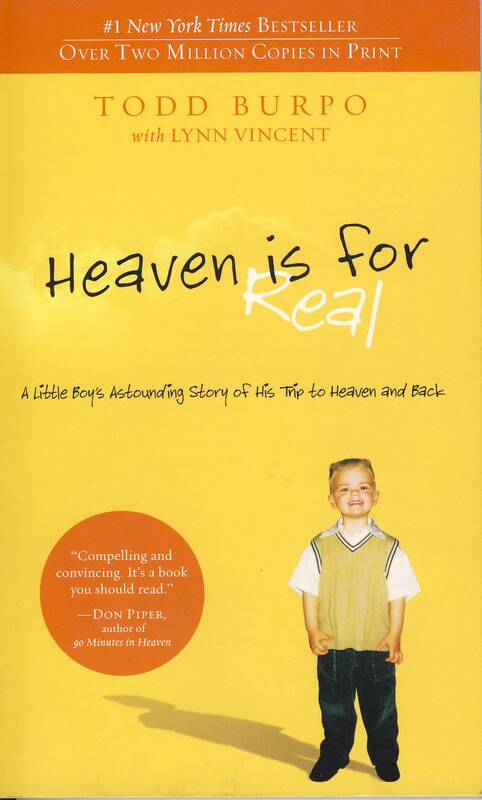 Thus, Colton’s disarming innocence and plainspoken boldness conveys a true account of encounters with the hugeness of God, Jesus’ love for children, angels, even a few surprises for his parents about their family before he was born. Mum and Dad didn’t push for deep and long discussions from him of what happened. Most of what Colton divulges just pops out now and then, just when they wished they’d had pen and paper! Compelling and convincing. It’s a book you should read. Review continues here > So what does Jesus look like? This entry was posted in After Life, Reviews and tagged Heaven/hell, Testimonies by Richard Barker. Bookmark the permalink.